Set in the Yoga capital of the world, Rishikesh Yogis Yogshala has it’s heart set on spreading the message of authentic Yoga. The founders of the shala, Uttam and Sushant met while teaching Yoga at Ananda in the Himalayas. After a few conversations about the lack of authentic Yoga schools in India, the duo decided to open their own Yogshala in their hometown Rishikesh. ‘’Last year I met Abhishek, also our co-founder. He is from Kerala and had lived in America for the last 5-6 years and is now back in India. His interest was like ours, so discussed this together and he was quite interested. Abhishek’s wife is also a Yoga Teacher, so well all got together and thought why not start our own Yoga programs here.’’, says Sushanth explaining how the third founder Abhishek and his wife collaborated with him to start the Yogshala. 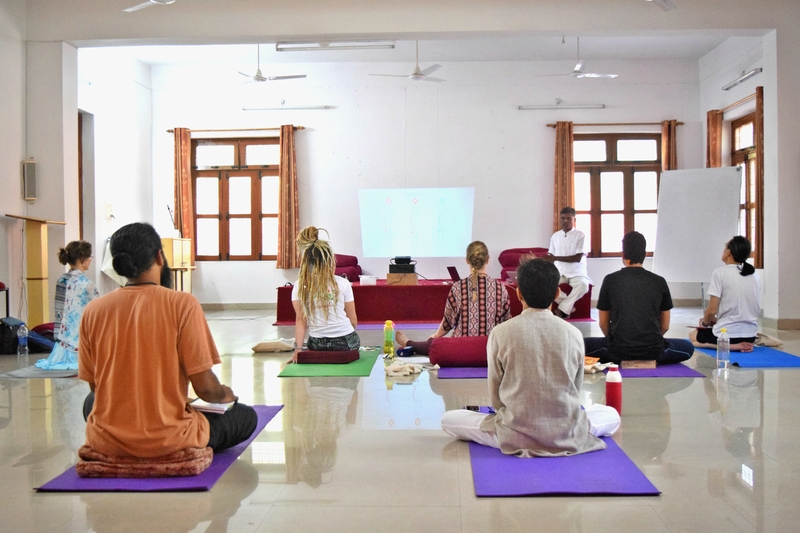 The Yogshala has been actively organising retreats since November 2016, this year they organised their first Yoga teacher training course (TTC). Speaking of their TTC courses, Sushant explains that the intensive course focuses on traditional lessons which many popular TTC’s tend to skip. ‘’We try and teach them all the traditional texts which are considered as the metaphysical background of Yogic discipline. Such as Sankya Yoga which is the background of classical Raja Yoga. Our classes are also based on authentic Vedantic teachings. So that’s in our curriculum. We also offer them classes in teaching methodology. Also, Abshikek’s wife has a background in website and branding, so she conducts classes on how to brand Yoga and promote and market well. Our teaching is based on traditional scriptures directly. So that is our Hallmark.’’ Sushanth has studied intensively with the Bihar School of Yoga and has also taught their postgraduate courses. Alignment and adjustment Hatha Yoga class. The Yogshala currently offers an intensive 200Hr TTC which is Yoga Alliance certified. ‘’In our TTC we teach traditional Hatha Yoga where the focus is on Raja and Hatha Yoga. We do teach a little bit Kundalini Yoga, but it isn’t in-depth. In Kundalini program, we are solely focusing on the tantric lineage of teaching. ‘’, says Sushanth. 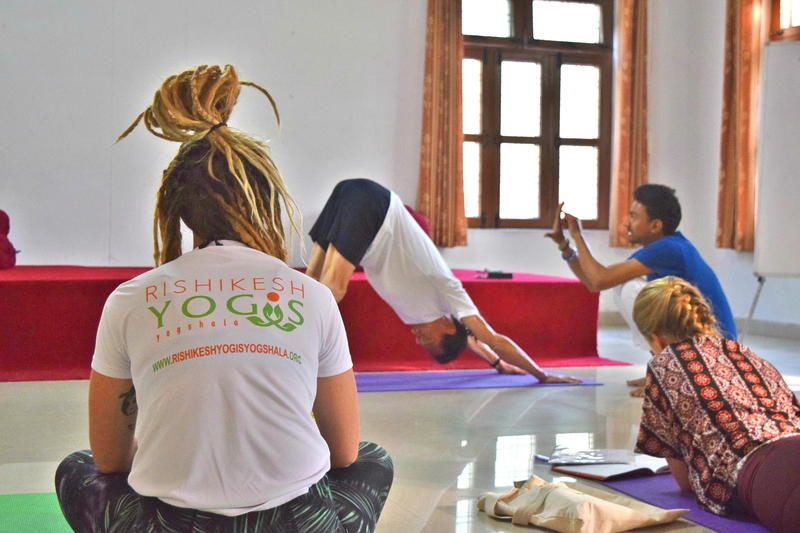 Rishikesh Yogis Yogshala organises only 5 TTC’s a year and their focus is on accommodating 10-14 students per TTC. If you don’t have the time or the inclination to enroll in a Yoga TTC, then the Yogshala has various types of retreats, i.e., Kriya and Kundalini Yoga retreat, Yoga and meditation retreat, intensive Chakra Sadhana retreat and mindfulness retreat in India. These retreats are held over a period of 10 days. If you have a specific requirement, the Yogshala also has an option where you can design your own retreat. According to Sushant, Rishikesh has a special vibe and energy that makes it an ideal setting for a Yoga and meditation practice. Being a native of this spiritual city, he shares with us that the students of the Yogshala are also treated to a special ‘Rishikesh Walk’, where they will explore the unseen side of the Yogic city. For more information about Rishikesh Yogis Yogshala and their courses, please visit their website. Adithi Mathews is a writer and yoga practitioner currently living in Germany. A former Radio Jockey, TV Journalist and Web Editor, she was introduced to the practice of Yoga at the age of 13. Her thirst to learn, led her to The Sivananda Vedanta Danwantri Ashram in Kerala where she completed her Teachers Training and Advanced Teachers Training Course. Connect with Adithi via Facebook or Twitter.